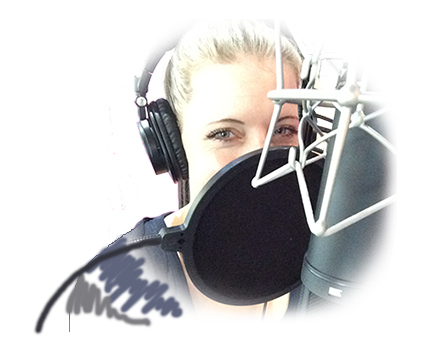 An English speaking radio presenter and voice-over artist, I’ve recorded professionally for over 12 years. I voice radio and social media ads, promos and continuity for tv channels, corporates, presentations, provide natural narration for documentaries, and am just as comfortable acting out a script as I am delivering a direct announcement. My clients vary from banks to beauty products; Lloyds Bank; Apple; Samsung; Emirates Airline; M&S; Sci Fi Channel; European Tour Golf; Galaxy chocolate; Braun; Colgate; Dettol; Nivea; Dove; L’Oreal; Always Boutique. Liv’s voice is often described as neutrally accented. Coming from English roots, her voice has been said by producers, clients and sound engineers as having the range to be warm, natural, fun, hip, sensual, dramatic, smooth, cool and compassionate…and most importantly believable. More samples are available to hear in Voice Samples above. I have a wide range of experience internationally, from the UK, to the UAE, to the US, to Australia. Recording in my home studio with my AKG C414 XLS and Yellow Tec iXm I can provide professional voice-overs to your direction, delivered on time. I pride myself on client satisfaction. If you need a voice-over in an extra speedy delivery time, just let me know.